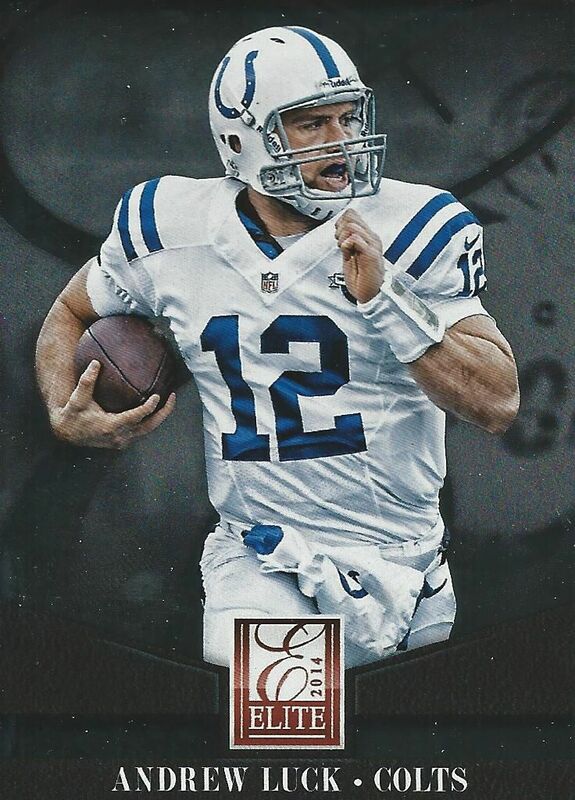 Panini's recent release of Elite has given football card collectors a beautiful product at a moderate price. Elite provides a satisfying break for anyone who is looking to open up a box. At 20-packs per box, there is plenty to rip and enjoy. Elite is definitely one of the top products to get as the football season quickly approaches. The Elite base card design draws inspiration from many past iterations of the product. 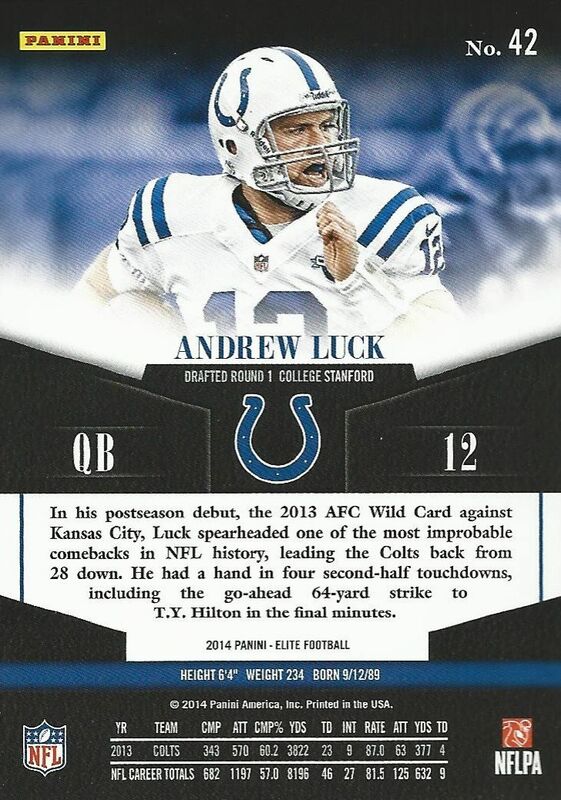 Collectors can always expect Elite cards to be on shiny foil board card stock. This year's design is right on point in terms of what is expected of Elite. The cards have a silver finish backdrop that the player photos sits on top of. An elegantly designed 'E' from Elite is also a part of the backdrop. The card is finished off with a darker lower portion that creates a nice contrast on the card. The entire card is well-done and clean. It works perfectly with the Elite theme, and I enjoy them quite a bit. The back of the base cards utilize a similar design scheme to the front so that there is some harmony between the two - it's nice. The team color is represented in the player photo subtly. While there is only a small space for one year of stats and a career total, I enjoy being able to read about the player in the paragraph written about them on the card. The standard rookie cards in Elite are numbered between 499, 799, or 999 depending on the player. The cards share the exact same design as the standard base cards save for the small RC shield logo in the upper corner. Many of these cards show the rookies at camp or training as none have taken the field in the NFL as of yet. 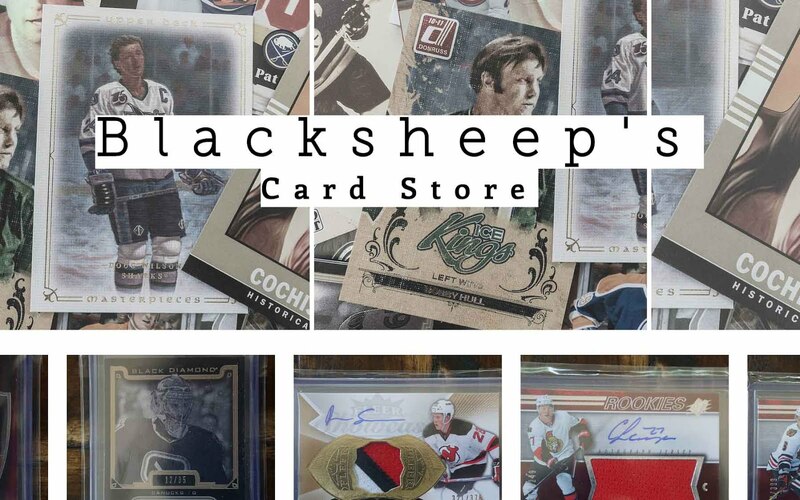 Each box of Elite will come with a pretty wide assortment of inserts, game-used, and autographed cards. In fact, each pack should have at least one card that isn't just a standard base card. If you like beautiful insert cards, Elite just may well be the product for you as the inserts found here are of top notch quality. One of the unique insert sets in Elite this year are the horizontally oriented Face2Face cards. These cards feature two players who went at it in a big way during the season. 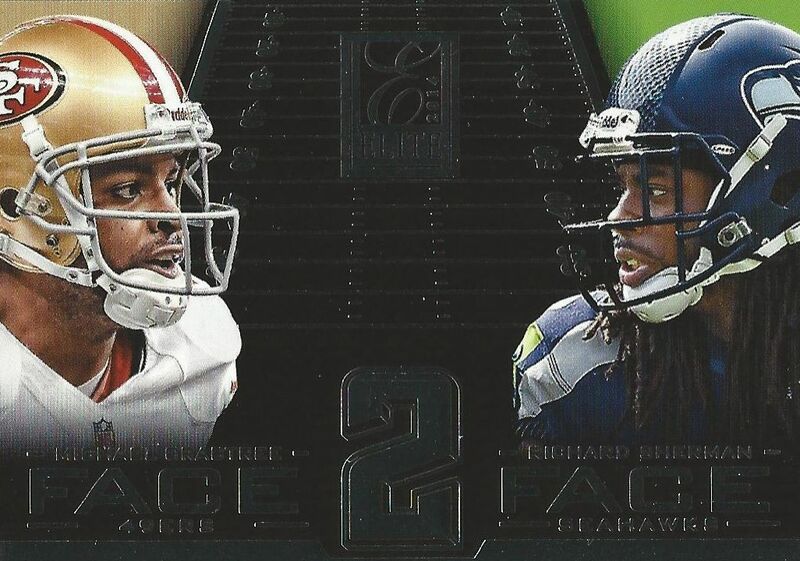 The Face2Face card above brings back huge memories of when the Niners took on the Seahawks. As a Niner fan... the memories were not good, but I think that a card to capture that intense moment (and others during the season) was a great idea. 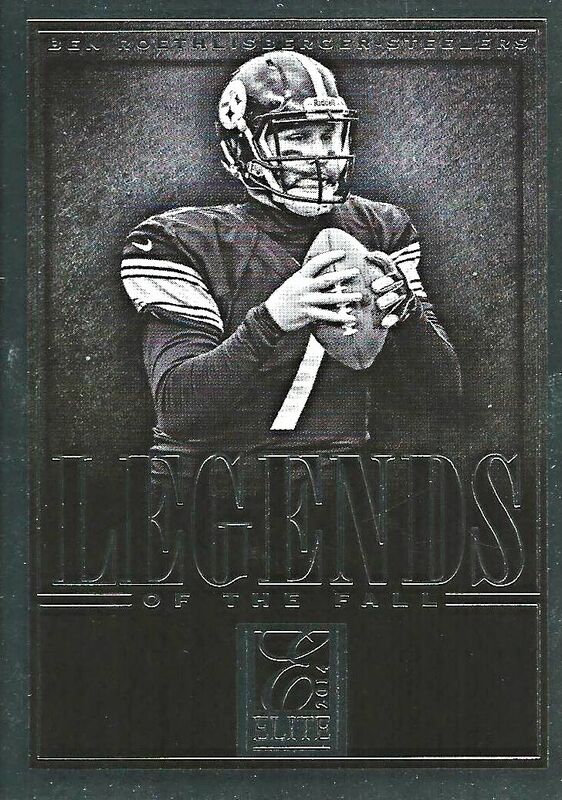 Legends of the Fall is a stark looking set that has players who excelled in the post season. The cards are all in a black and white color scheme highlighted by silver foil. These are serious looking cards! But they are seriously good looking. The design of these cards could stand up on their own; the designers have done a great job here. Another insert set that features outstanding players is the Elite Series insert set. It also features quite a bit of foiling as well. Passing the Torch inserts are dual sided cards with different players on each side of the card. This RGIII card has Eddie Lacy on the back. 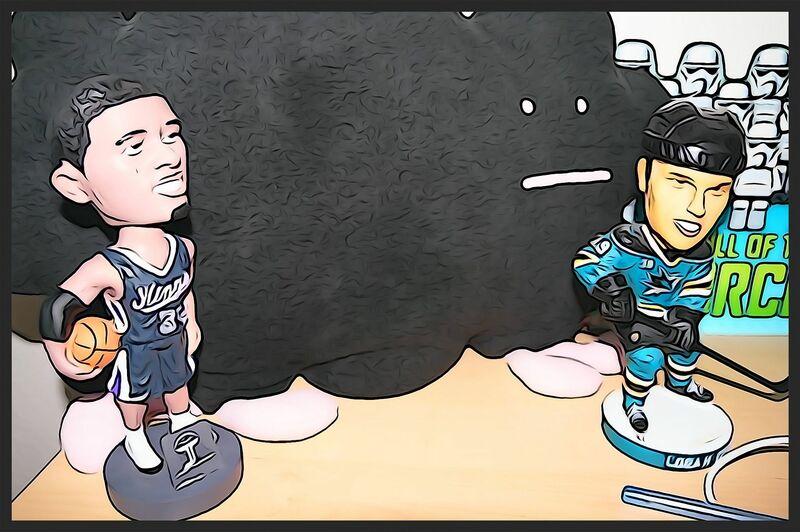 I'm not sure why RGIII would be passing anything on to Lacy though... I don't see the connection. If you do, let me know! The cards are very nice though. I like how the cards have been done with a brighter white color scheme with the torch and logo portion done with foil. If you're a fan of parallel cards, then Elite is definitely going to make you happy as there are a ton of different parallels with different numbering to be found within the set. 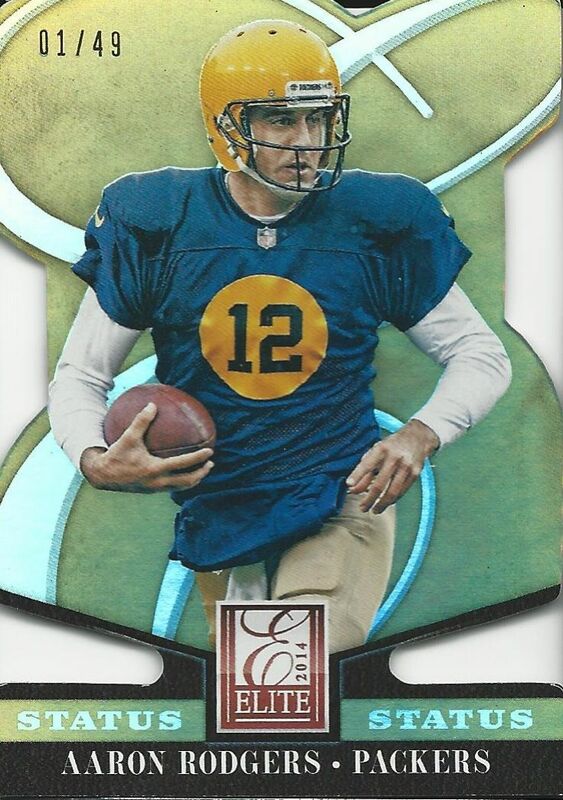 Some parallels like this Status card of Aaron Rodgers are die-cut. Green Turn of the Century rookie card parallels are pretty commonly found in boxes of Elite. I got a few in the box that I broke. 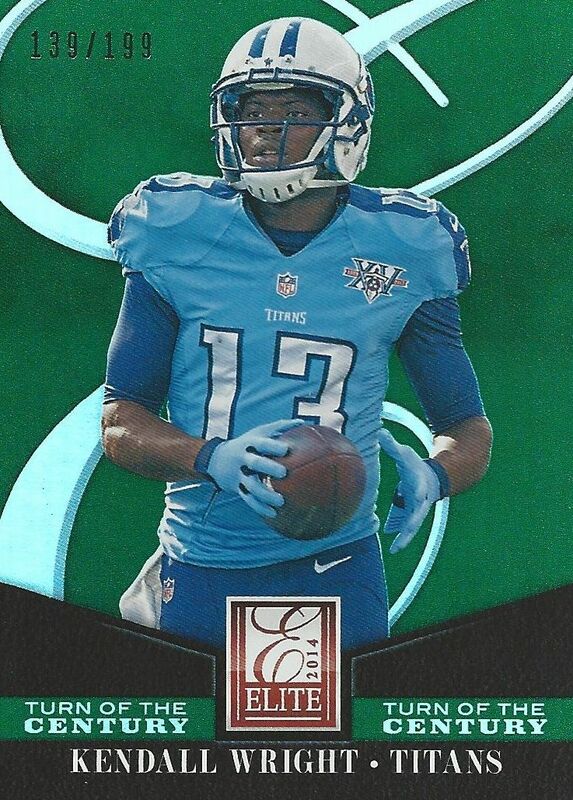 Some, like this Kendall Wright are numbered to 199, while others have lower numbers and are autographed. Speaking of autographs, there are plenty of rookie autographs to be found in Elite. 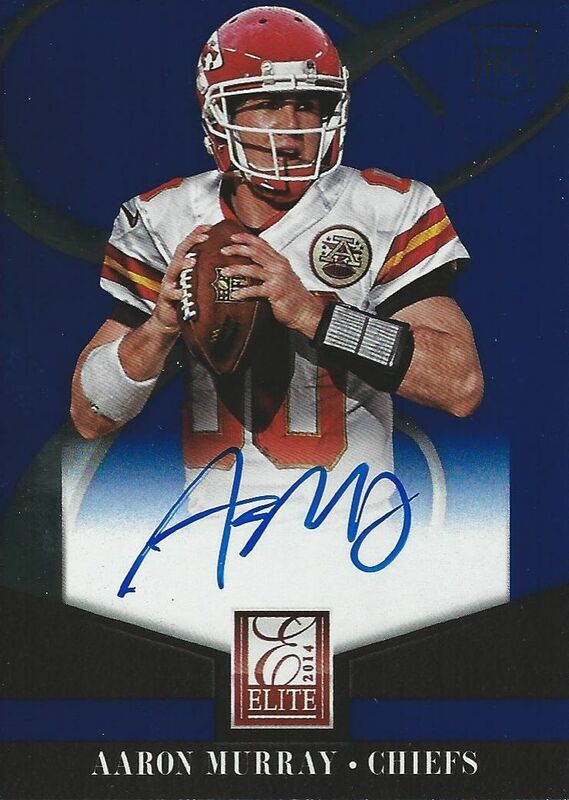 I enjoyed pulling this on-card Aaron Murray autograph from a pack. Unfortunately, this card does not feature serial numbering. 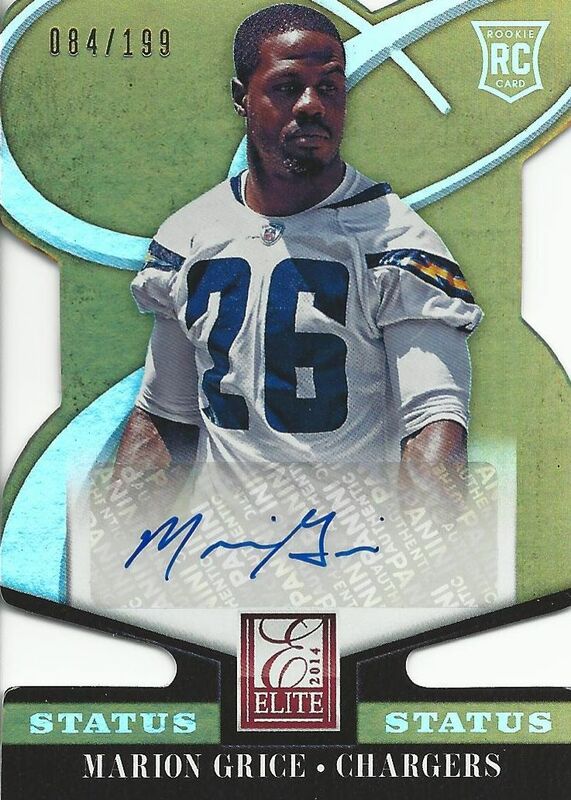 This Marion Grice card, though, does have serial numbering to 199. It's also features a gold background and die-cutting. Unlike the Murray, this one is a sticker autograph. Overall the card is very sharp looking, and I wouldn't mind pulling these cards of the top rookies. 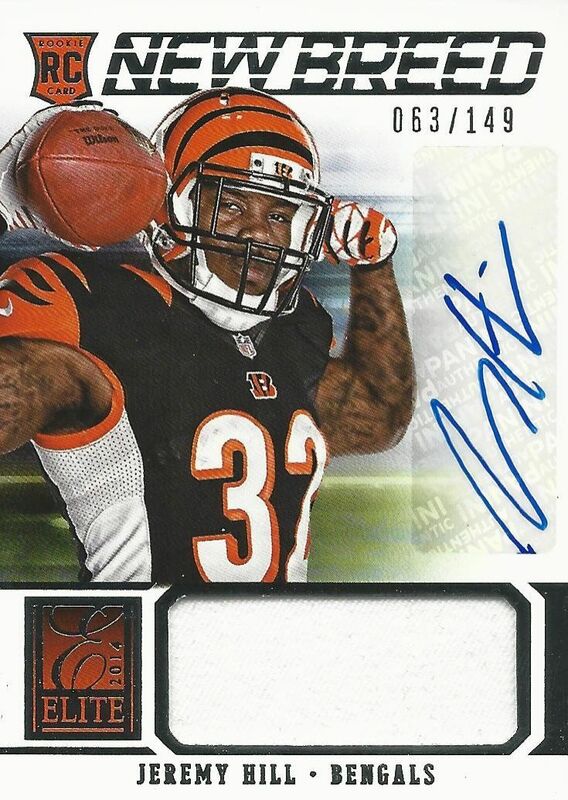 The New Breed insert set contains memorabilia, and some like this Jeremy Hill card has both memorabilia and a sticker autograph. The New Breed insert cards have a sleek, bright, white design that incorporates the space of the card nicely. It's always good to get both a memorabilia and autograph on the same card, and this Elite insert is a platform that can do that. 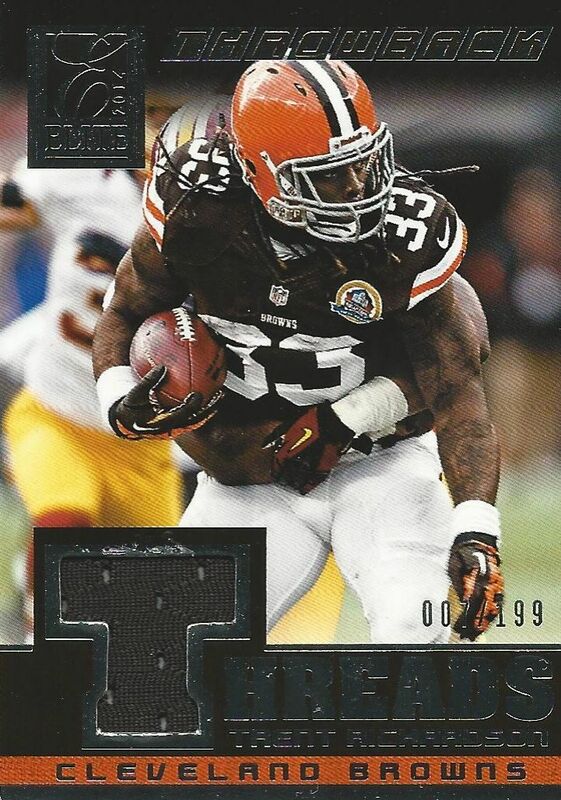 Throwback Treads are insert cards that show players in uniforms we may not be accustomed to seeing, or that we haven't seen in a while. It's definitely a fun idea, and gives team collectors more cards to chase, especially of players that have moved on to different teams. Like with many of Panini's insert sets, the numbering of the cards varies from player to player, and patch versions are also available. 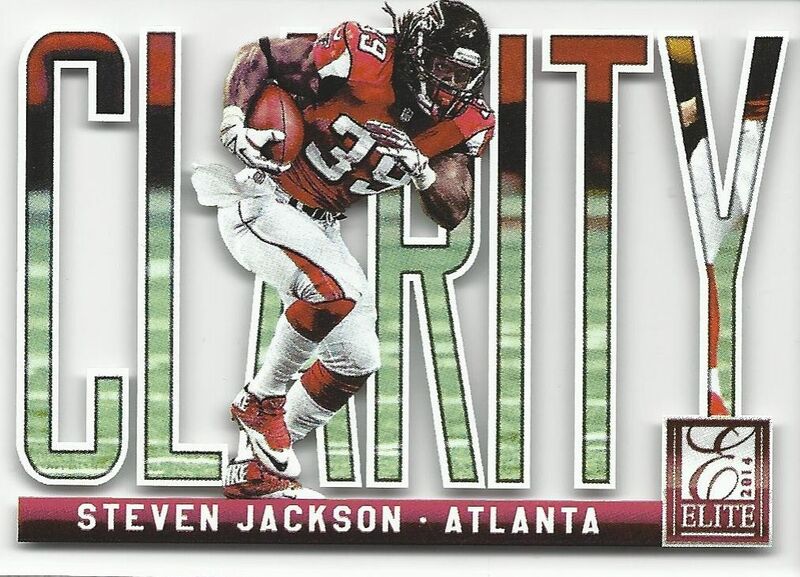 One of the most carefully packaged cards in the box was this Clarity insert card of Steven Jackson. Clarity cards are totally clear acetate-like cards. I knew that there was something 'special' in the pack that it came in because it was especially thick. The Clarity cards come in their own card sleeve within the pack. I'm not quite sure if a pack searcher would actively want to seek these Clarity cards out or avoid them. 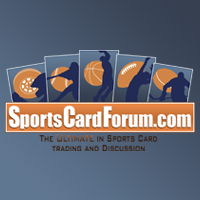 They are nice cards, but value-wise they may not be what collectors are looking for. Elite boxes go for around $100, and for that amount of money you get a pretty decent amount of cardboard. As a pre-season type product, Elite is hard to beat. It includes early rookie cards with autographs and memorabilia. You can also find many rare parallels to chase as well. 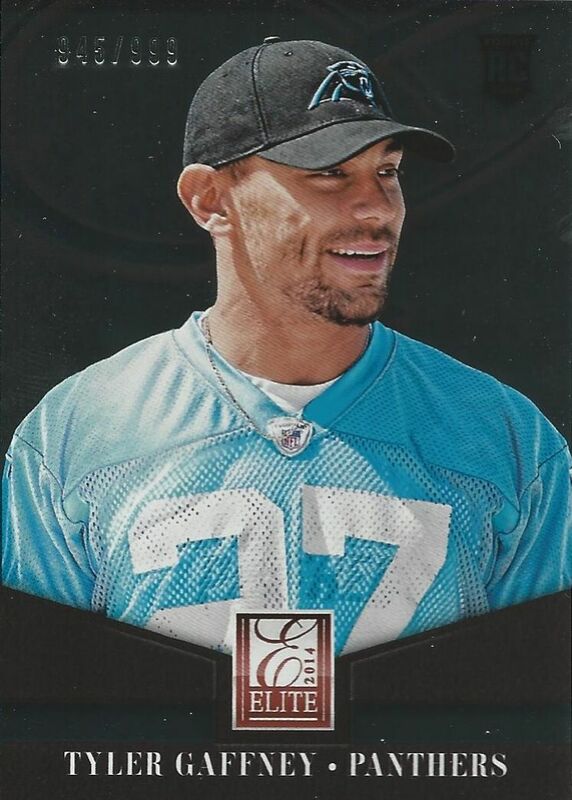 Panini could have phoned it in with all the nice rookie content within Elite, but they didn't the product also delivers in terms of its visual appeal. The cards and the insert sets within are stellar. 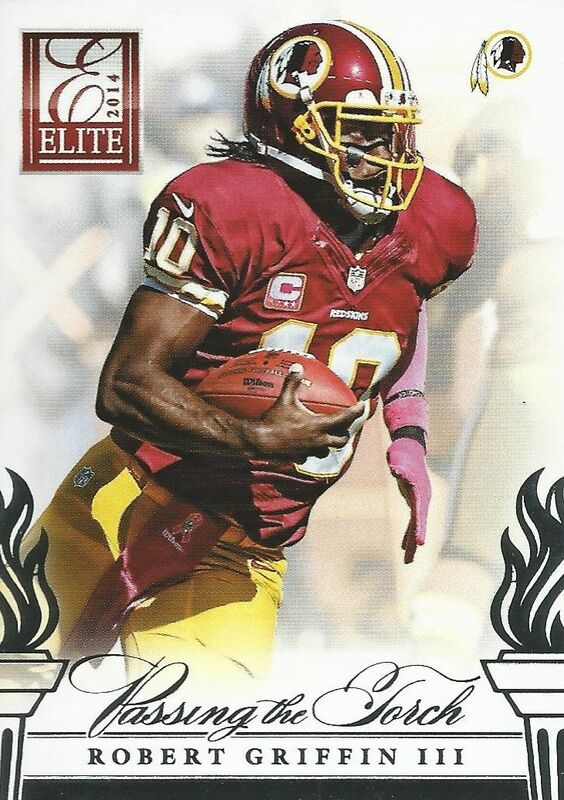 I think 2014 Elite is a product worth picking up if you're a football fan. It'll be fun to see which rookies you pull have great years and rise in value. + You get non-base cards in every pack, and almost every insert looks great! - Some of the rookies you pull will never even debut in the NFL. So many awesome looking inserts. I think this is way better than the hockey release of the same name. It's a shame that Panini won't get a chance to make Elite Hockey as good as this years Elite Football. I can't believe how easy pack searchers will have it finding the "Clarity" cards! Great review! Nice Break and Nice review, as per usual! !